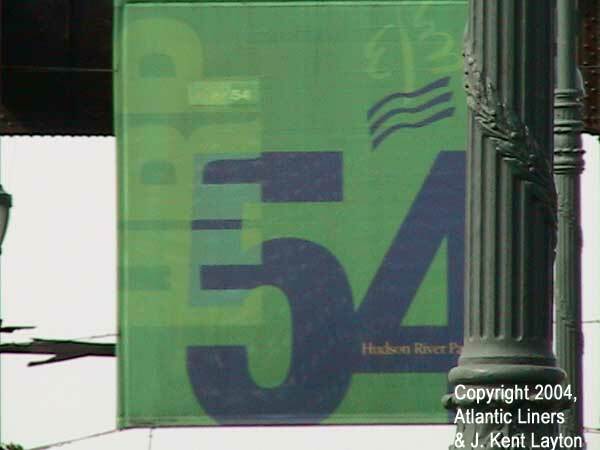 Pier 54 – A Historic New York Location. 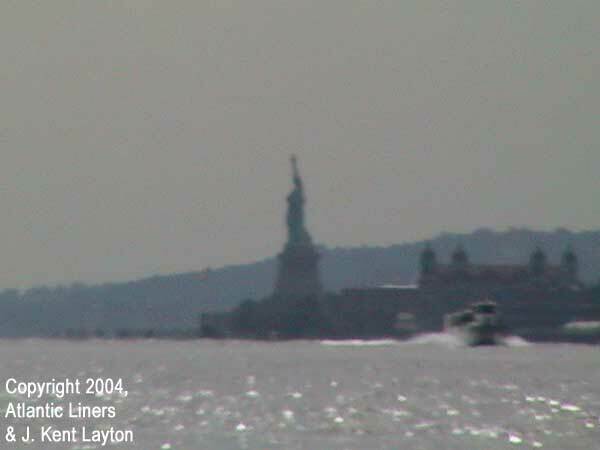 Today, when one ventures down the west side of lower Manhattan, at the foot of 14th Street and near all the commotion of the West Side Highway, there may not seem to be any immediate connection to the great Atlantic Liners of yesterday. However, this was where all of the major Cunard and White Star liners of the late 1800s and early 1900s docked. 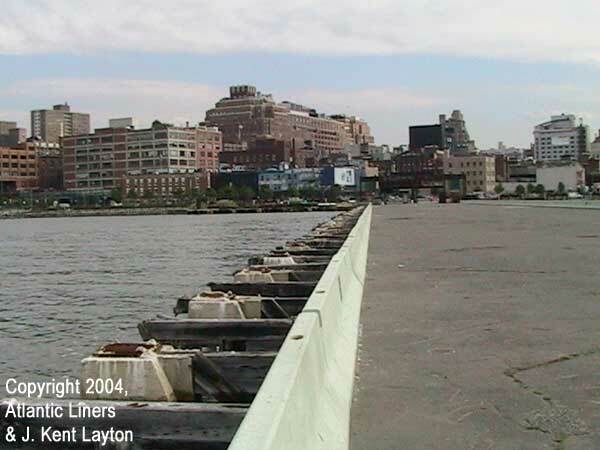 Pier 54, across from West 13th and 14th Streets, was just one of a series of piers which lined lower west side of Manhattan on the Hudson (“North”) River. At the time of the Lusitania‘s maiden voyage in 1907, only a slab stretching into the North River existed; however, the inadequacies of working without a proper docking facility became manifest quickly. 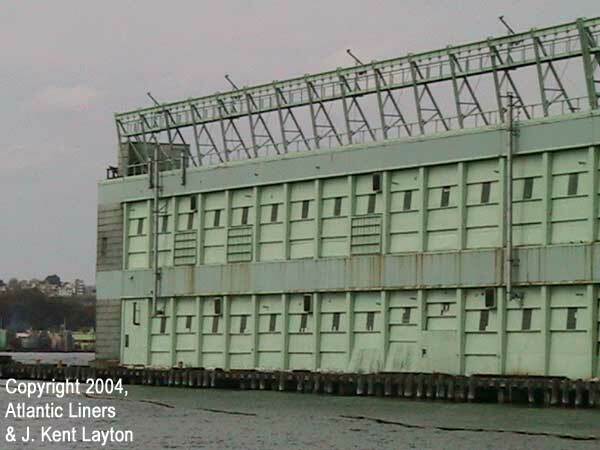 In response to the growing size of the Atlantic liners, the city of New York began to construct the piers that would become famous. 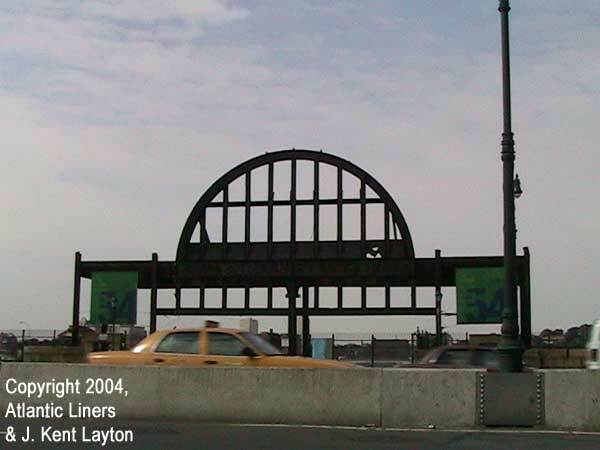 The new pier buildings were designed by Warren & Wetmore, the architectural firm that would go on to design the Grand Central Terminal Building in Manhattan. 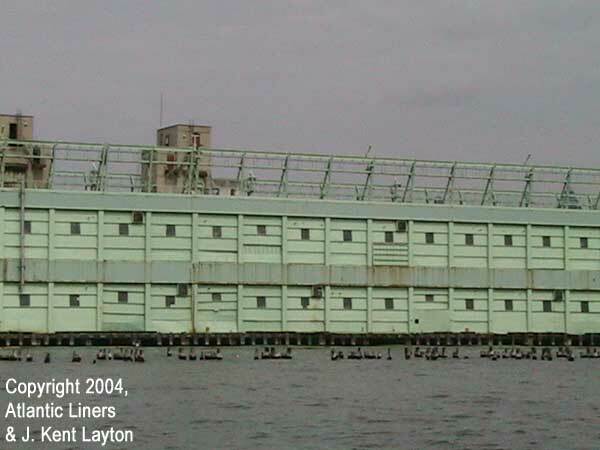 Each of the piers had a nearly identical structure that enclosed an enormous volume of space and protected passengers waiting to board or disembark from the elements while they waited. 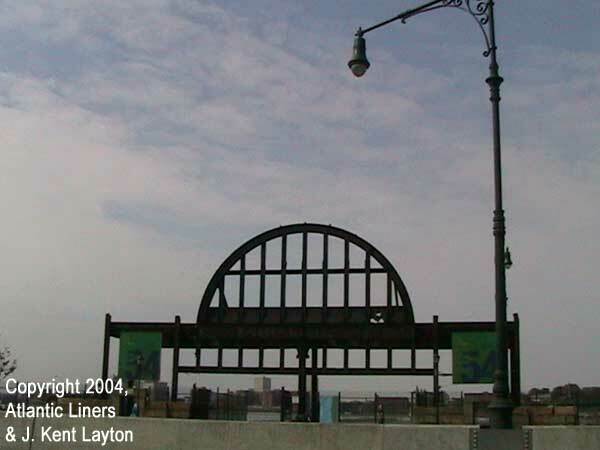 They were functional, but with a pleasant arched roof at the face of each pier. 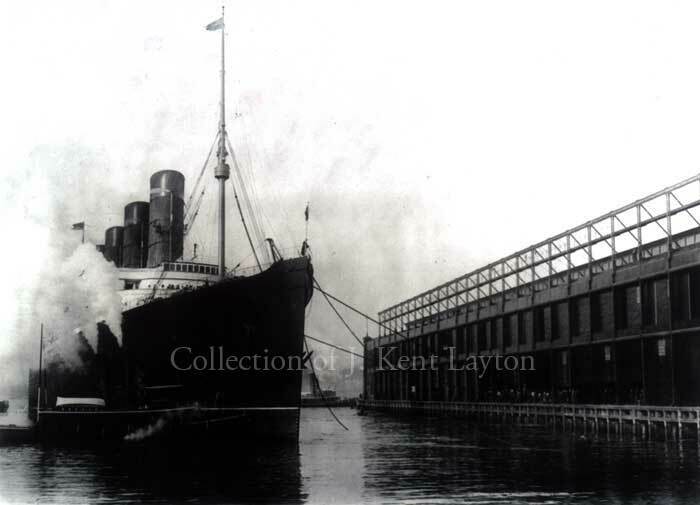 They were an important element in helping New York to stay current with the finest ocean liners that were then in service or under construction, a tremendous improvement from the outdated and worn out nightmares that had been in place before. 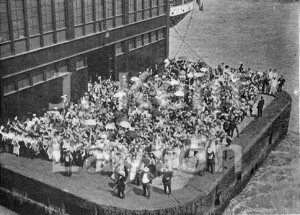 Pier 54 was where the Cunard Line maintained its primary docking facilities for ships like the Lusitania and Mauretania. Many historic and emotional events played out at this pier. 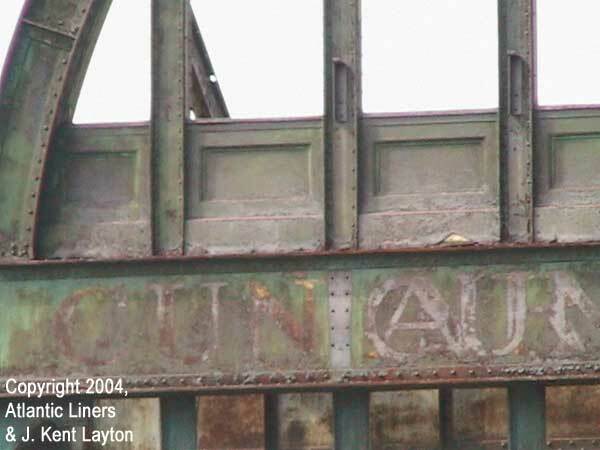 For example, in 1912, this was where the Cunarder Carpathia landed all 7121 of the Titanic‘s survivors. 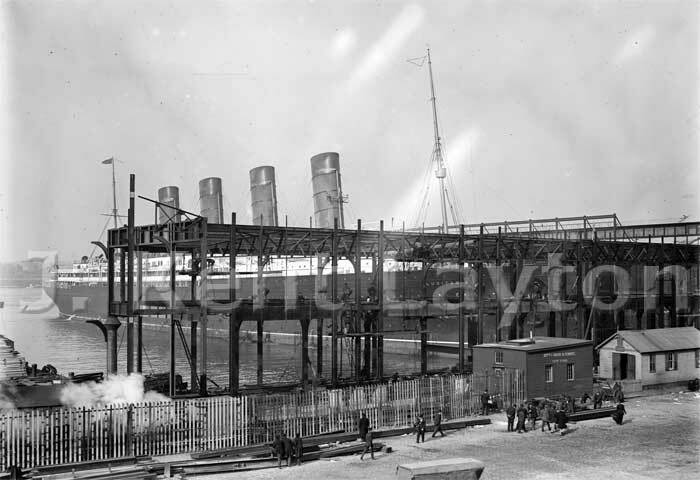 Three years later, this was the pier from which the great Lusitania departed on her last and ill-fated voyage. A newsreel crew had come to watch the departure that morning. They filmed outside the front of the structure as various passengers arrived in cabs, even watching as some off them paid off the drivers and began unloading their luggage. Later, they climbed to the roof of Pier 54 to film the departure. This entire film has been preserved and now adds a unique perspective to the historical record. 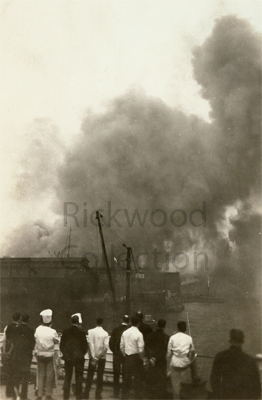 Pier 54 was destroyed on Friday, May 6, 1932, in a five-alarm fire that was fought by land-based firemen and six fireboats along the waterfront. The conflagration started at about 8:00 a.m. that morning, in some rubbish underneath the pier. The watchman who found it tried to stop the fire by hand and failed miserably. 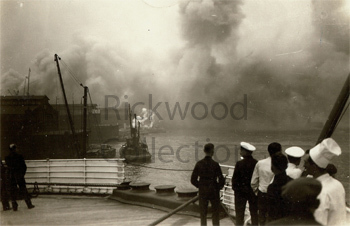 As the flames spread, a regular fire alarm was not turned in promptly, and Cunard employees rushed to carry furniture and paperwork out of the building, with damp handkerchiefs over their faces for protection from the smoke. By the time the first few companies had arrived on the scene, the fire was totally out of control, and some 700 firemen were engaged in the battle. 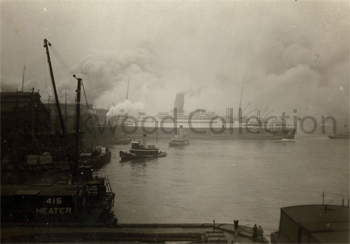 They fought for hours; although they soon realized that they could not save the $2,000,000 pier or the $100,000-plus worth of cargo sitting in it, they tried to prevent the other structures nearby from being engulfed in the flames. One person was killed and dozens of firemen were injured. A nearby building caught fire and was destroyed, and the fire also tried to reach the piers to the north and south of 54. 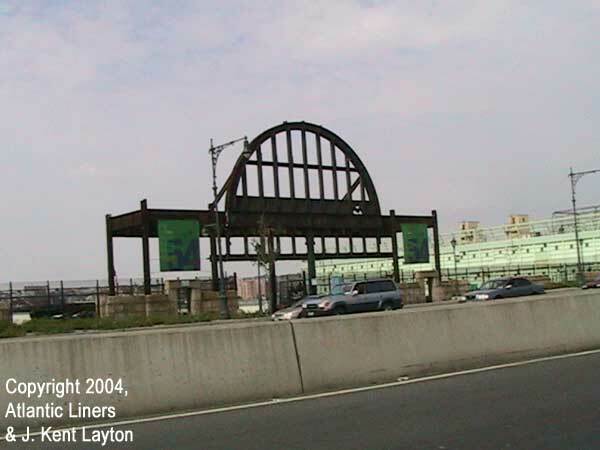 That evening, the burned out wreckage of Pier 54 collapsed into the Hudson. These three photographs from the Rickwood Collection show the scene as the pier was burning, as photographed from the stern of the White Star liner Olympic. That famous liner would sail later in the day for Europe. The views look south, down the river (apparently from White Star’s Pier 59). 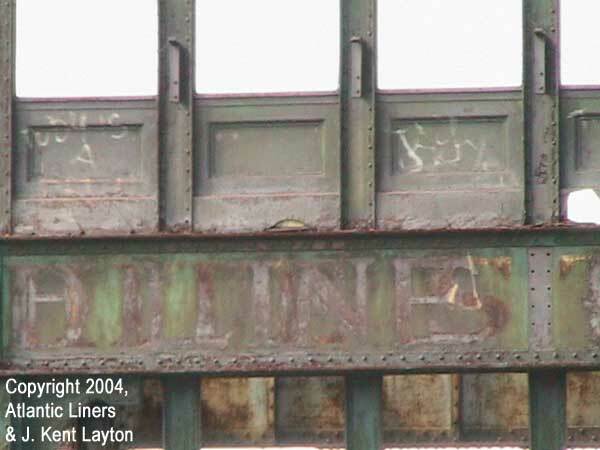 The French Line piers between are visible. 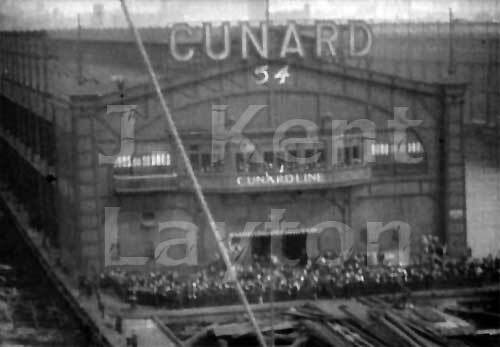 The Cunard Line had to scramble to obtain other facilities for the use of its liners while they called at New York. 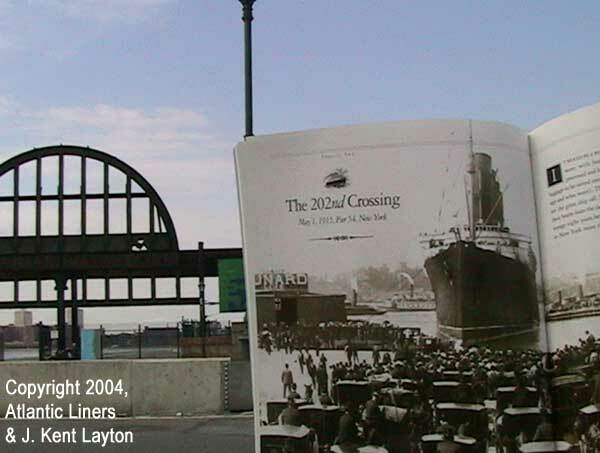 Eventually, Pier 54 was completely rebuilt – so well, in fact, that in later years it hardly looked any different from the original structure which had been so completely destroyed on that May day in 1932. 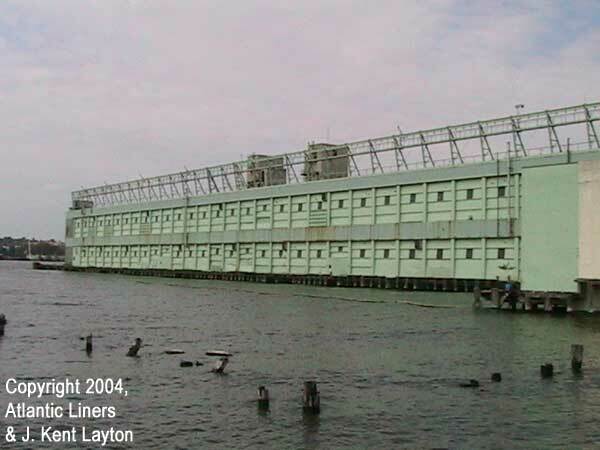 The re-built Pier 54 remained in use until Cunard’s main terminus was moved upriver. 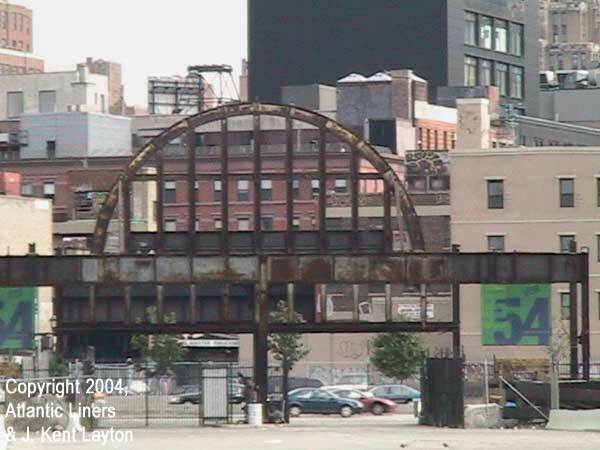 As the years went by, Pier 54 fell into disrepair. The pier just to the north has been demolished, leaving only wooden piles as a reminder of where it once jutted into the Hudson (North) River. Finally, the Pier 54 building itself was removed, leaving behind a blank concrete pier with only the building’s front frame left behind. It was during this period that I made my one and only visit to the pier. While I was there, I managed to capture a number of photographs, which can be found below. 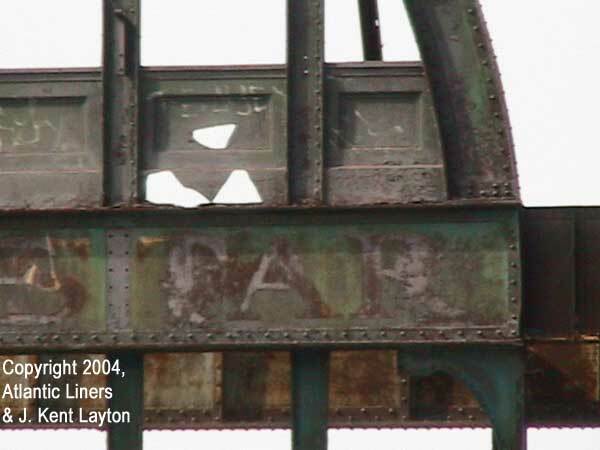 Eventually, even this reminder of the location with such historic connections was erased, and the pier was completely demolished in early 2015. Plans are currently moving forward on replacing it with a new waterfront park. In truth, urban decay is a blight and a stench, and steps need to be taken to improve the appearance and utility of cities. However, it is best to do so in a historically correct context. 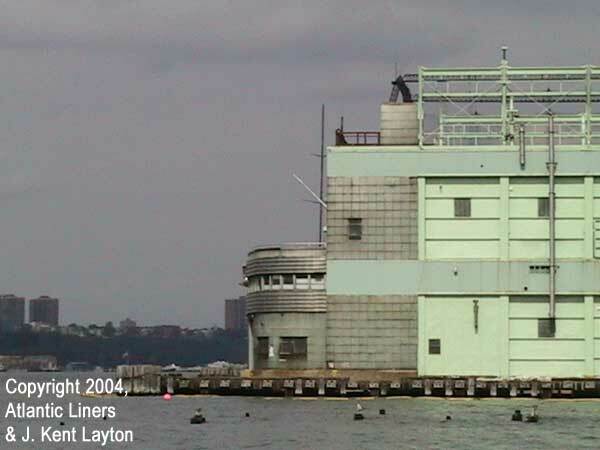 If Pier 54 had not been allowed to decay in the first place, it could easily have been turned into a visitor’s center, a Titanic- and Lusitania-themed museum, or any number of other uses, preserving the history of the structure for future generations. 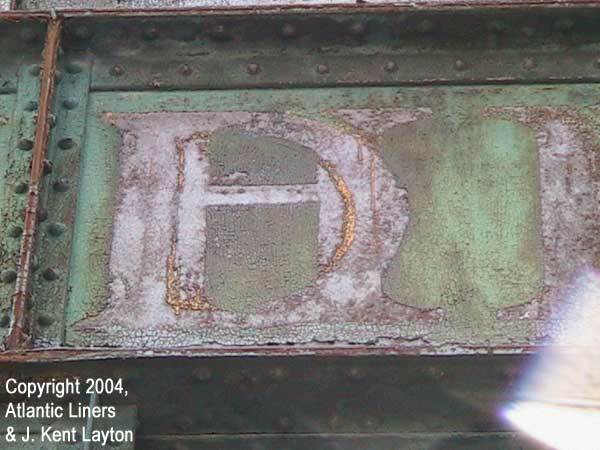 Once the original building was torn down because of decay, another use could still have been found for the existing pier that still retained some historical context. 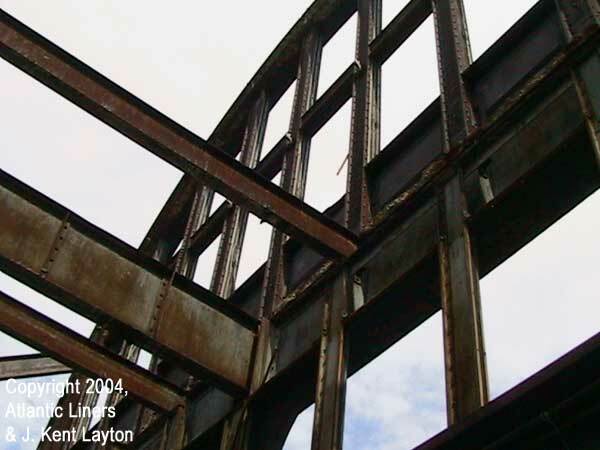 Unfortunately, preservation is not always a priority for developers and cities.